TCR II Suspension Brake & Alignment is home to Tucson’s best automotive mechanics. We love cars, and we’re passionate about auto repair. We’ve been serving Tucson and our highly experienced auto mechanics can fix any kind of vehicle. When your car isn’t running right, Tucson’s top auto mechanics can help. Because Tucson is such a large metropolitan area, a car is essential for getting around. We understand the car culture here, and it’s a big part of our personal lives as well as our professional livelihood. So, when your car isn’t running right, or it isn’t performing up to its full potential, we do everything to make it right. As Tucson’s top car mechanics, we’re focused on keeping you on the road. 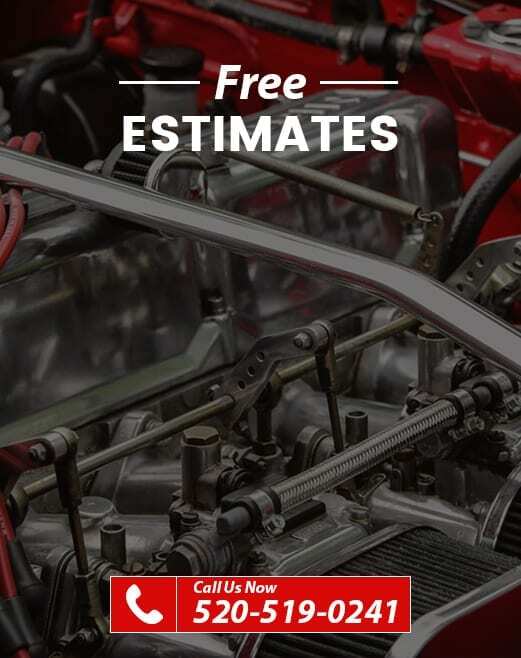 Our auto mechanics are fast, thorough and affordable for all your car repair needs. Here in our shop, we have the latest tools and diagnostic technologies to make sure that we can troubleshoot and fix any problem in any make and model of vehicle. Where to go when in need of auto repair? If you need expert auto repair in Tucson, we can help. Whether you need brakes, a clutch, front end alignment, or a lift kit for your car, we do it all. We provide a full guarantee on all our work, and we offer the most comprehensive warranties anywhere in southern Arizona. Best of all, to reduce downtime and keep you on the road, we offer access to easy financing so you’ll have the car repairs you need today.